Please note: We don't sell direct to the general public. In order to buy from us, a customer must have a valid business license or automotive tax i. d. number. To view the downloadable version of our circular you will need the free Adobe Acrobat Reader plugin installed on your computer. If you already have it, just click on the link above to begin the download automatically. If you need to install the free Adobe Acrobat Reader, just click on the link below and follow the installation instructions, then download our circular and print at your convenience. As much as we try to guarantee our prices, please call 1-800-438-4070 to confirm the latest pricing. This web site is intended as a guide only. Prices are subject to change without notice. Please note: we are a wholesale only business. 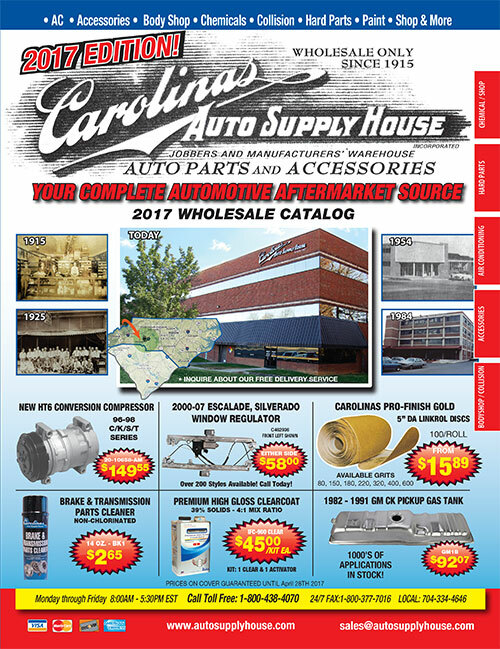 Therefore you must have a valid automotive business and/or state tax i. d. number to establish an account with Carolinas Auto Supply House, Inc. See our policy.